I have noted the release of the Gauteng City-Region Observatory (GCRO) Quality of Life (QoL) survey, which is released every two years, and seeks to examine the broad levels of satisfaction experienced by residents in Gauteng. The survey also provides useful insights into perceptions held by residents at municipal – level using a sample size with a low margin of error. The survey, conducted approximately 18 months after the coalition government stepped into office, mirrors many of the inherited challenges faced by the City and affirms the current administration’s new focus on targeted service delivery through the Diphetogo – programme. With respect to the residents’ quality of life, the survey noted improvements in perceptions by residents namely in the categories of family, community, connectivity, security and socio-political attitudes. One of the earliest challenges faced by the multi-party coalition government was the fact that, despite the residents of our City voting for change in the last local government election, the budget which we inherited was that of the previous administration; severely hampering efforts to bring about immediate and widespread changes to the City. In addition, much like the rest of the country, Johannesburg is susceptible to the impact of our uncertain economic environment, which has been deeply felt by our residents. Within the first quarter of 2018, the country entered a recession, the cost of living was increased for many of our residents through unaffordable VAT and fuel prices. I have no doubt that combination of these factors played a significant role in perceptions held by our residents. In addition to this, levels of corruption which have been uncovered, amounting close to R24 billion coupled with the R170 billion infrastructure backlog means that that opportunities to meaningfully improve the lot of residents have been squandered over the years. Instead of hiding these facts behind millions in self-promoting marketing, the City has sought to honestly engage with our residents on the state of the City and to work with communities to build a better Johannesburg. Bearing the above in mind, the current administration is working hard to improve the City’s budgeting processes through the Diphetogo-programme, launched earlier this year, to directly prioritise expenditure service delivery backlogs and improve the experience of residents in our city. We are under no illusions as to how much work remains ahead of us in terms of improving service delivery and bettering the lives of the residents. When I began my tenure as the Executive Mayor of Johannesburg, we set ourselves high targets, to achieve the level of change demanded in 2016.
service delivery under the new administration. 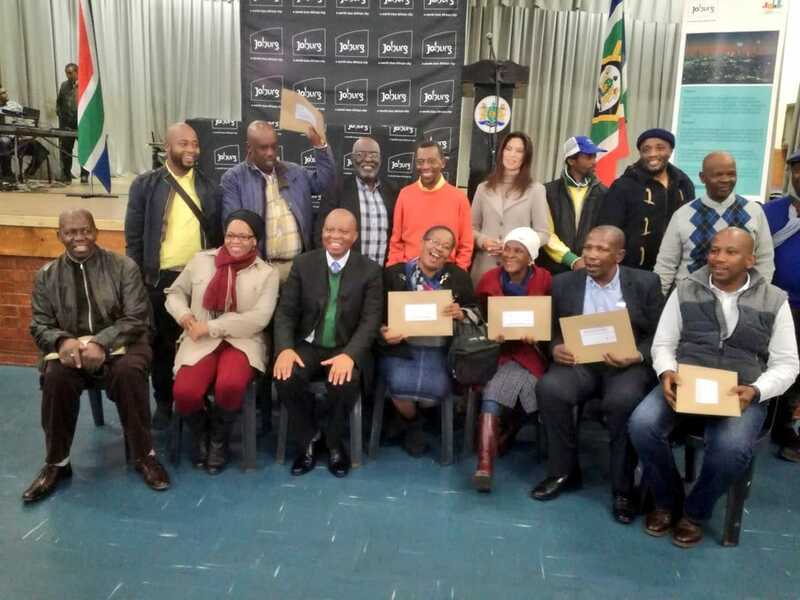 Member of the Mayoral Committee (MMC) for Housing in the City of Johannesburg, Cllr Meshack Van Wyk, handed over 90 title deeds to beneficiaries from Ivory Park on Friday, 9 November 2018. “The Title Deeds Programme is one of the key priorities of this administration and as a government that delivers, the department is pleased to be delivering title deeds to the people in Region A,” said the MMC. During his recent visit to the area, MMC Van Wyk was made aware of the community’s many needs. Issues such as the delivery of houses remains a key area of concern and has led the department to develop plans that will address these needs. Today the MMC visited senior citizens at their homes in order to personally deliver their title deeds and others were assisted to get to the event to collect theirs. A total of 90 title deeds were handed over. There are a further 70 title deeds that have not yet been collected by residents and MMC Van Wyk urges the beneficiaries to get to the housing office in their area to collect it. The City of Johannesburg’s delivery of title deeds is in accordance with the 2017/18 Integrated Development Plan’s priorities to ensure pro-poor development that addresses inequality, poverty and provides meaningful redress. 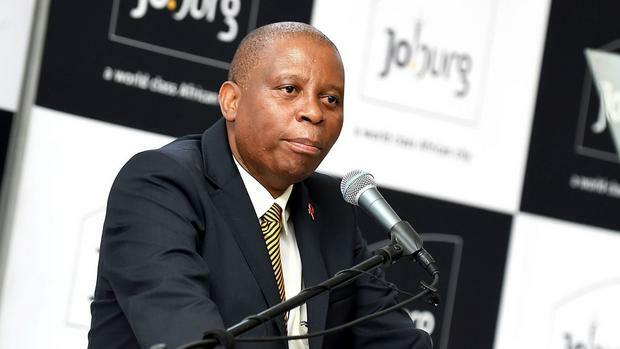 The MMC has promised the residents of Joburg that in the current financial year, the department had set a target of issuing 3 500 title deeds, and it was a target they put all resources towards meeting. Today, I am proud to support the Divercity Urban Property Fund’s investment of R2bn in Johannesburg as part of its strategy to create thriving mixed-use inner-city precincts. 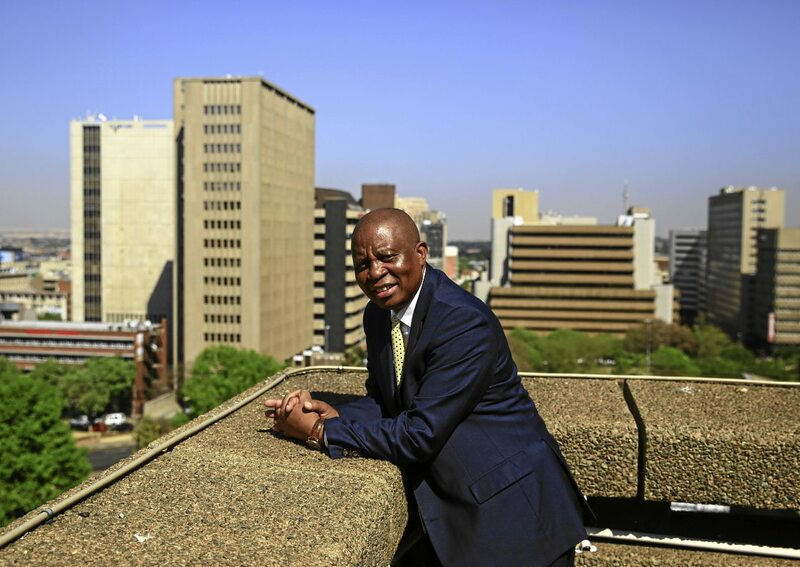 This investment, the largest in the Johannesburg CBD for some years, will be focused on the redevelopment of the iconic ABSA Towers Main building and Jewel City. For the City of Johannesburg, the investment is an indication of investor’s renewed confidence in the potential held within the inner city. Since coming into government, I have long maintained that the revitalising the inner city but turning into a construction site of redevelopment is key component in creating jobs within the Johannesburg local economy and through strategic public private partnerships, also creating affordable quality housing for residents. By working together with all sectors of society, we can progressively transform the inner city into a space where residents can live work and play. I am delighted that the Divercity Urban Property Fund has heeded my invitations to property developers, funders, professionals and the construction industry to work with the City to redevelop the various precincts of the City. Following a competitive bidding process, Divercity has acquired the 30-storey ABSA Towers Main building from ABSA, conditional on approvals from the Competition Commission. The currently unoccupied building will be redeveloped into a one-of-a-kind mixed-use building, including 520 affordably priced residential rental apartments, a floor of coffee shops, restaurants and recreation space, child care facilities, a public park, integrated public transport facilities and a wealth of public art. Besides creating an inclusive new world-class ‘live, work, play’ environment, the project is also designed to enhance the area as a whole. As part of a wider neighbourhood development initiative, a pedestrian-friendly walkway with street furniture, lighting and art will be created from ABSA Towers Main all the way to Maboneng. This unique urban intervention prioritizes pedestrians and people of the local community above vehicular traffic. Between ABSA Tower Main and Maboneng is Jewel City, the former heart of the diamond and precious metals trade in Johannesburg, which spans six city blocks that have been closed off to the public for decades. Through Diversity, Jewel City will reopen to the public as a vibrant mixed-use precinct with a fully pedestrianized streetscape and a total development value of over R1.2bn once fully completed. The project includes the redevelopment of existing buildings as well as the construction of over 40,000sqm of new buildings in the precinct. Work on the Jewel City project will begin in November with the first phase of retail, commercial and residential space set to be ready by August 2019. As part of the City’s own initiative, Council approved the release of 71 buildings earmarked for the regeneration of the inner city. The development of these buildings is set to take place through public private partnerships with developers within the city. These buildings are expected to deliver at least 4000 units for student accommodation, small business premises and affordable accommodation for some of our poorest residents. This is part of Diphetogo, real change, this administration has promised residents of this City. The City is sensitive to the fact that skills development, employment and SMME development must happen alongside plans to transform the inner city in order to address the unemployment that faces many of our residents. We believe that through the redevelopment of our 84 properties, almost 5000 temporary jobs will be created during the construction phase. As part of the submission process, developers will be required to set out how many work opportunities are to be generated as part of their bid. This will create opportunities for our residents, particularly our youth, to enter the job market. These 84 properties have been available to potential investors and this will be available for interested parties to respond to until the 30 of November 2018. I am delighted that efforts of this administration, working together with the private sector, if finally bearing fruit for the people of our City. The Western Cape Water Supply System’s dams are now at 68% capacity, a very significant improvement on the situation at the end of the previous winter, when they were at 38% capacity. This was during a drought so uncommon that it only has an estimated return period of 311 years. The very low supply storage resulted in the imposition of Level 6B water restrictions in February 2018. The enormously positive response from Capetonians when called upon to reduce water usage, as well as advanced pressure and water management programmes by the City, saved the day and Cape Town avoided the worst-case scenario. 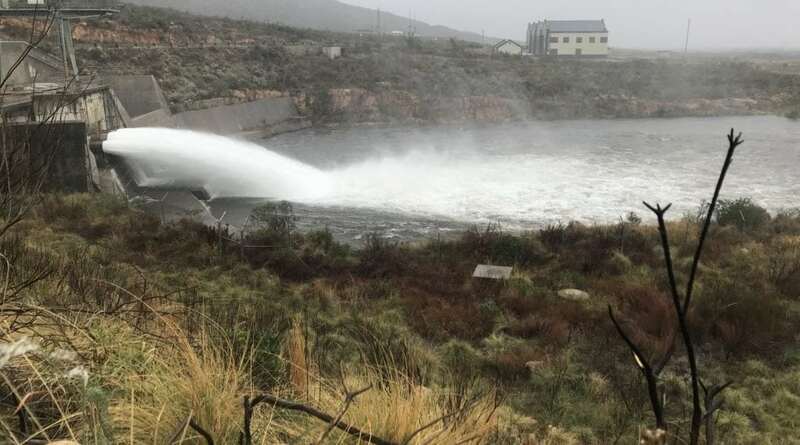 Once dam capacity again exceeded 50% at the beginning of July 2018, the City called for a discussion with the National Department of Water and Sanitation (DWS) around the relaxation of restrictions. Since then, two meetings have been held with the other large users in the system, both urban and agricultural, and the DWS. Agreement was reached among the users for a gradual reduction in the overall restrictions, including reducing the urban usage restriction from 45% to 40% of what it would normally be allocated. Rainfall remains highly variable, and while May and June saw rainfall close to that of an average year, July had very poor rainfall. This improved somewhat in August and so far in September the positive trend continues. The relaxation of restrictions is a moderate proposal that is based on a hydrological risk assessment that indicates that it is safe to do so at the level of risk that is agreed upon. Of course, the amended Level 5 restriction guidelines for water usage will apply and we are confident that the significant behavioural change that we’ve seen pertaining to water conservation will prevail to a large extent. The DWS undertook to respond by 31 August 2018, but have yet to do so. It appears that the DWS is reluctant to make any adjustments before the end of the hydrological year at the end of October 2018, when assessments are usually made. The City believes, with the full support of the other catchment users such as other municipalities and the agricultural sector, that an interim adjustment is fully justified and appropriate at this stage. The City will thus move from the current Level 6B restricts to Level 5 restrictions as from 1 October 2018. A further reassessment of future adjustments will be made once the DWS makes a ruling for the new hydrological year or advises on an interim relaxation. There is a similar reduction in sanitation tariffs. During the worst period of the crisis, the City made a compact with our businesses and residents. Together, we agreed to do absolutely everything in our power to get Cape Town through this extreme situation but we can only do so with assistance from all of our customers. We beat the drought together. It is essential that an appropriate relaxation of restrictions takes place not only so that economic activity can be improved, but also so that water tariffs can be relaxed from the current high levels to give the necessary tariff relief to households and businesses in recognition of the great sacrifices that have been made. Much work is planned over the next few years to augment the City’s water supply. Our water conservation awareness and demand management will continue as always. We are situated in a water-scarce region. At the moment, we will still rely on our dams to provide the majority of our water. Given the unpredictable nature of our rainfall, it is imperative that we diversify our supply for the future, and entrench the water-saving mind-set we have cultivated over the past year. The City does not budget to make a profit on the sale of water. Please see http://resource.capetown.gov.za/documentcentre/Documents/City%20research%20reports%20and%20review/Water%20Outlook%202018%20July%202018.pdf for additional information. Please also visit the City’s website for full tariff details. Yesterday, I was informed of the arrest of four (4) cash-in transit heist suspects, among them an individual believed to be an employee at Luthuli House, the national headquarters of the governing African National Congress (ANC). 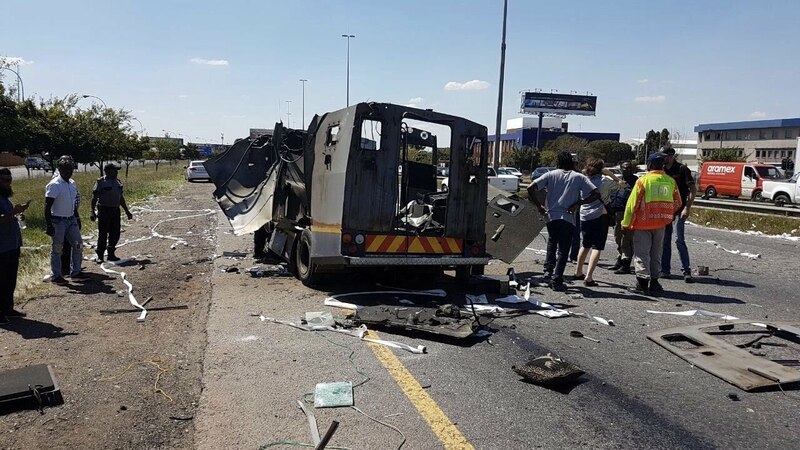 The suspects were allegedly involved in a cash-in transit heist in Dobsonville, Soweto, which led to a man-hunt being launched. Some of the suspects were arrested on July 6 while the remainder were apprehended in the early hours of July 7. The raid was conducted by a joint operation of the JMPD’s K9 Narcotics Unit and the SAPS. Four hijacked vehicles were recovered, two of which were used in the robbery. I have received confirmation that one of the four suspects arrested is alleged to work at Luthuli House, at the time of his arrest. News of this arrest comes as a shock given the recent spate of cash-in-transit heists in Gauteng, posing a threat to the innocent lives of motorists and pedestrians. Millions of Rand have been stolen with only a negligible amount recovered. That means more dirty money remains in criminal hands to fund further criminal activity. South Africa is truly in the grip of lawlessness and it is my firm belief that this is so because of the culture of impunity that has been allowed to fester by the ruling elite. The arrest of this individual does bring into question whether the ANC has been aware of the arrest of this individual, since it took place almost two weeks ago, and, if so, why they have remained silent on such an important matter. It also begs the question of how the ANC, while running National Government, can employ individuals who so brazenly undermine public safety and the rule of law in our Country. We must do more to reinvigorate our law enforcement agencies and achieve the collaboration that will turn the tide against criminality in Johannesburg. These arrests demonstrate how, by working together, the SAPS and the JMPD have succeeded in taking dangerous criminals off our streets. The City of Johannesburg with its recruitment of an additional 1500 JMPD cadets will add to the crime fighting abilities of our City. Case by case, we will achieve a Johannesburg that is safer for its residents and a place that criminals will want to stay away from. 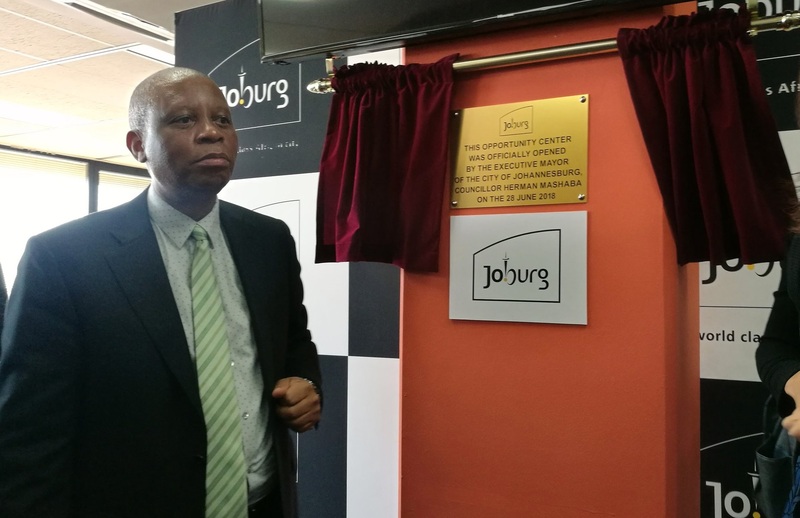 Today the DA-led City of Joburg opened its second Opportunity Centre at the Roodepoort Civic Theatre. This centre is the second of the 14 planned Opportunity Centres by the City’s Department of Economic Development by the end of the 2020/2021 financial year. The purpose of these centres is to support economic growth and development through the support of SMMEs and entrepreneurs with the aim of decreasing unemployment. Assistance with City supplier data base and compliance issues. These services will be provided at no cost to the SMMEs with the City providing the facilitation and space required to offer them. The DA-led City of Joburg is setting the bar by building centres like these to support and enable our unemployed youth to get work. The DA is the only party that has a plan for creating job opportunities and empowering the youth. This is the kind of change we will bring to the whole province in 2019. 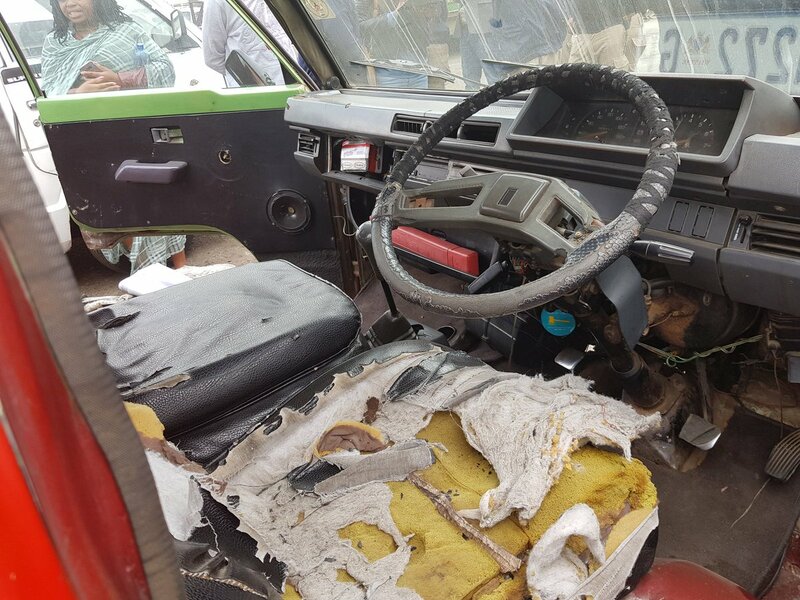 As part of Operation Buya Mthetho, an initiative between the City of Johannesburg and the JMPD, the DA-led City of Johannesburg has been removing un-roadworthy, unlicensed and illegal vehicles from the roads across the city since the beginning of the year. One of the 500 impounded vehicles that used to transport children to school every single day. One part of this multi-focused operation is to ensure the restoration of road safety and law and order on the roads. 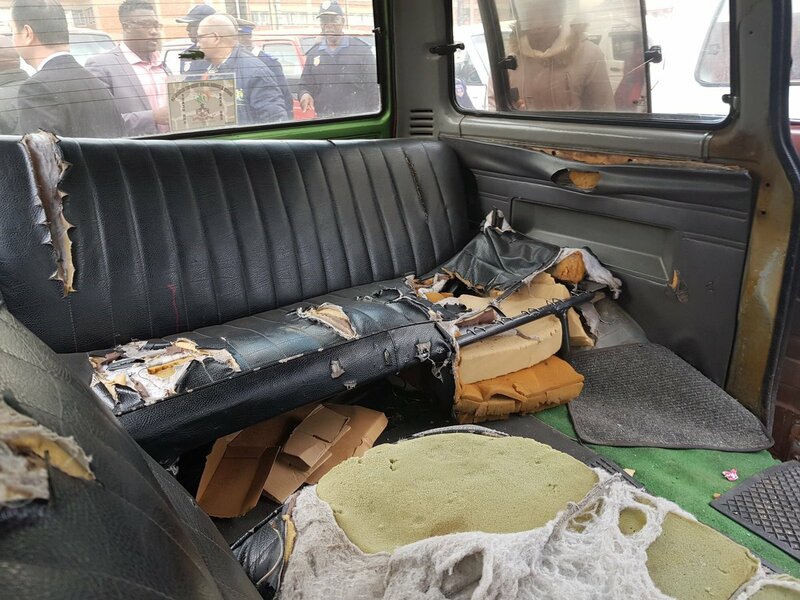 Over 500 un-roadworthy, unlicensed and illegal minibus taxis, and over 60 illegal dumper trucks have been impounded by JMPD since the commencement of Operation. 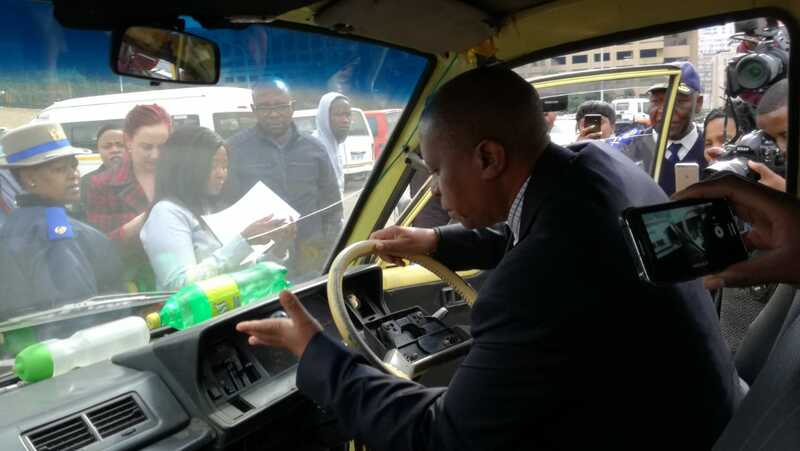 Johannesburg Mayor Herman Mashaba investigating one of the impounded taxis. During today’s Council meeting the 2018/19 budget was passed. This is the second budget passed by the new coalition government and is one which will bring more change to the lives of the people of Nelson Mandela Bay. The current budget is strongly pro-poor and will help address the needs of the City’s most neglected communities which were severely under-resourced under the previous ANC-led government. This budget also provides significant relief for the rate payers of the City in recognition of the difficult economic climate the whole country is facing, epitomizing how good, clean governance can do a lot more with less. Some of the highlights of this budget are provided below. R30 million over the MTREF to continue to eradicate bucket toilets (including the historic backlog). 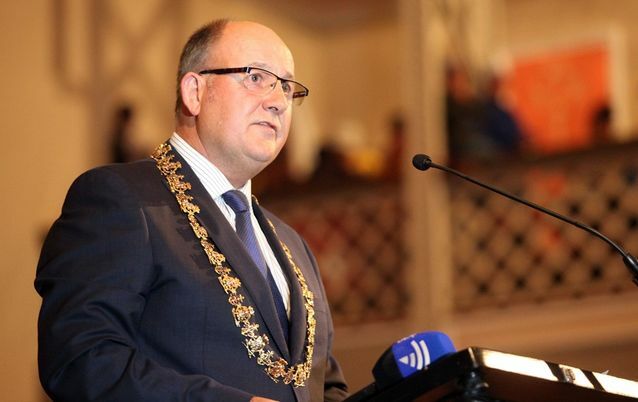 This ends a tumultuous period in the Metro as the opposition parties in the council, comprising of the ANC, United Front and the EFF, made four attempts to block the passing of the budget, a move designed to put the City under administration. Today’s passing of the budget will ensure that the coalition government gets on with the business of putting the people of the City first. We would like to thank all of our coalition and voting partners for their commitment to providing service delivery and improving the lives of the poor and vulnerable of the City. It is regrettable that EFF and ANC councillors chose not to be present today – nonetheless, our mandate is to bring visible change in Mandela Bay and we will not be deterred in our attempts to deliver better services to all. Today, Council passed the multi-party coalition government’s Operational and Capital Budgets and Integrated Development Plan (IDP) for the 2018/19 financial year in full compliance with the Municipal Finance Management Act. This is the second budget passed under the combined leadership of the DA, IFP, ACDP, UDM, COPE and VF+, with the support of the EFF, as well as the AIC who have broken ranks with the ANC and supported this budget. After engagement between political parties in Council over the past few weeks, an approach was taken to reduce the tariffs for water and electricity. By doing, Council has achieved a caring and sensitive approach to household income which is under strain from various decisions of National and Provincial Government. Equally the tariffs approved will enable the City to generate its revenue that will drive the fundamental change – Diphetogo – to our communities. The Diphetogo project, at its core means real transformational change, and prioritises investment in the service delivery backlogs that plague our communities. We have taken the decision to deprioritise the non-essential elements, cut unnecessary expenditure and re-directed these savings to battle our service delivery infrastructure backlog. 2018/19 sees the largest share of the capital budget for roads, transport, housing, electricity and water, going up from 54% in 2016/17 to 69% in 2018/19. R50 million has been set aside for the upgrading of Inner City emergency housing and rental stock. R60 million for the renewal and refurbishment of the following hostels: Diepkloof, Meadowlands, Helen Joseph and Madala hostels. R46 million has been set aside for the acquisition of buildings in the inner city for the purpose of creating affordable housing for residents. R45 million for the installation of new public lighting city-wide, including our informal settlements, as well as an additional R20 million for the repairs and maintenance of existing public lighting within the City. Johannesburg Water is allocated a capital amount of 1 billion over the medium term and R10.6 billion in operating expenditure which will reduce the number of pipe bursts by 6,000 leaks. Pikitup is allocated a medium term budget of R771 million as well as 3 billion in operational expenditure. This will support additional cleaning shifts within the inner city as well as address the dilapidated conditions of Pikitup facilities. Pikitup’s operating budget will also pave the way for the filling of 1400 funded vacancies in their frontline service delivery capacity. R30 million in operational expenditure has been allocated to the Departments of Health and Social Development to fully capacitate the City’s free Community Substance Abuse Treatment Centres. R20 million is allocated to continue running extended operating hours within 11 of our clinics. Public Safety has been allocated a medium term capital budget of R260 million for both Emergency Management Services (EMS) and the Johannesburg Metropolitan Police Department (JMPD). This budget will also be utilised for the continued training of 1500 JMPD recruits who will soon join our law enforcement efforts. The Department of Economic Development receives an operating budget of R223 million and R30 million in capital budget over the medium term. This includes funds to complete the development of the Job Seekers’ Database which will effectively replace Jozi@Work, and do away with middle-men determining access to these opportunities. R25 million to construct informal trading facilities in Rosebank Linear Park, Dobsonville and the inner city to support informal traders and provide them a space to grow their businesses. R627 million of the national Public Transport Network Grant to finish the Rea Vaya Phase 1C services which will run between Sandton, Alexandra, Greenstone and the CBD. R250 million for road rehabilitation and reconstruction and R181 million for the rehabilitation of bridges. Through the implementation of the proposed tariff increases, we will work harder to improve access to quality water, electricity, sanitation and refuse services in our city. I am pleased that through our coalition government working together, we are able to bring a diversity of views to the table and convert it into pro-active solutions to the challenges our residents face. Together, and following extensive public consultation, we were able to construct a budget that will ensure Diphetogo when implemented. For the first time, this public consultation was split into a listening tour of the City in October 2017, followed by engagements with the draft budget in April and May 2018. Over 9500 residents formed part of the IDP outreach process, with the City receiving close to 3500 written and electronic submissions. I would like to thank our coalition partners, the IFP, ACDP, UDM, COPE and the VF+ for their development and support for this budget. I would also like to thank my own caucus for their unwavering support and dedicated hard work; and the EFF for their vigorous engagement with our administration. I would also like to acknowledge the AIC, who has broken ranks with the ANC and supported this budget as a testament to their commitment to change in Johannesburg. While the approval of this budget & IDP is an important milestone for the residents of this administration as well as the residents of this City, what really matters is how well we implement our budget. This is the budget that will begin the large-scale turnaround of Johannesburg and place government at the service of our people. 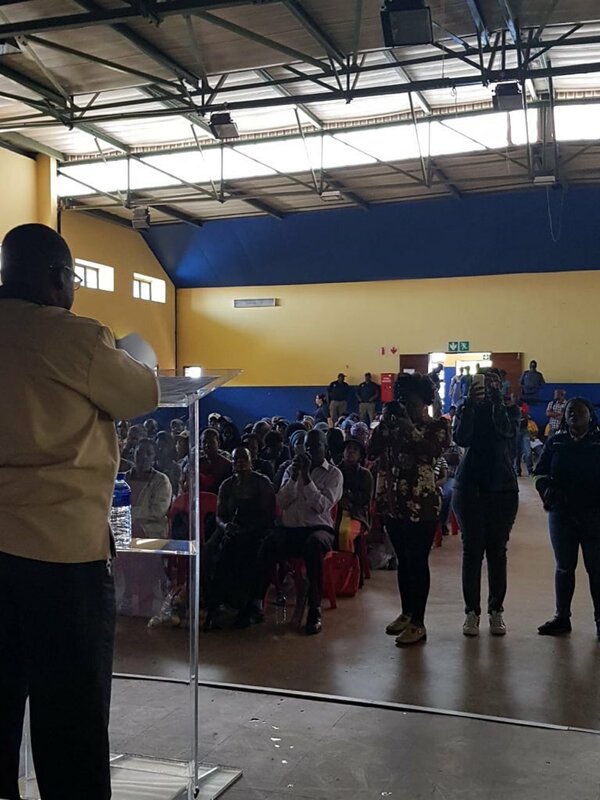 On 11 May 2018 the DA brought change to business owners in Soweto who have been waiting thirty years to own land by handing over title deeds. See photo here.